The latest version of WordPress, version 4.0 was released this morning. The editor shows a true preview of your embedded content, saving you time and giving you confidence. This release was led by Helen Hou-Sandí along with 275 contributors with props in this release, a new high. Download the latest WordPress 4.0 Australian English release here and follow the instructions in the downloads “Read Me” file. 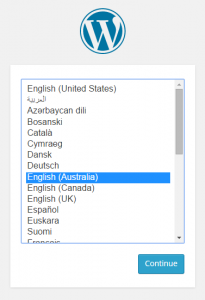 If you’ve already installed the Australian English version of WordPress simply visit the dashboard to update to WordPress 4.0 and the latest translations. WordPress 4.0 makes it easy to install with English Australian translations, just select English (Australian) during install.